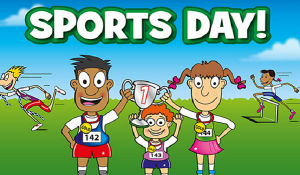 ‘Great sports day’ was the feedback from many parents. We hope you enjoyed watching your children take part in a variety of activities this week. We feel the events were a huge success. Thanks go to Rebecca (P.E lead) and Dan (sports instructor) for 3 well organised events that staff and children are still talking about. We noted that a number of our parents are quite competitive when it comes to running the parent’s race – to the point of injury for Lily-J and JJ’s dad. We hope you feel better soon and will try to build in warm-up activities next year!! Can I please remind parents that you must not post pictures or film clips of our children at any school event on social media, if you have not followed the school rules please remove these.